Please pray for Fr. 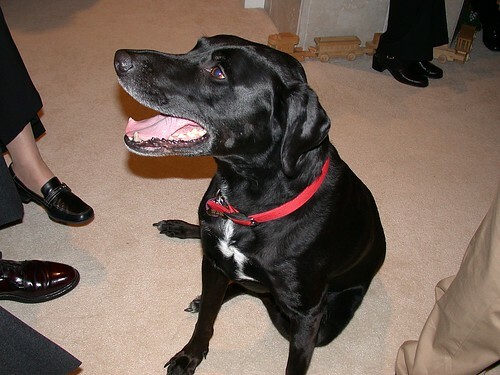 JJ’s black lab, Andy. He has gotten bad news from the vet and may be undergoing surgery tomorrow morning. Please also pray for Fr. JJ. He will need lots of love, support and comfort in this time of worry and uncertainty. This seems rather cold, but I need to get the information out to everyone quickly so I’m going for it. Fr. J.J. returned from his brother’s (the vet) this evening with sad news. Andy is filled with cancerous tumors. There is one on the spleen that weighs 7.5 pounds and another in the prostate the size of a grapefruit. Father has to make some decisions tonight but is leaning toward the recommendation of his brother and a veterinary oncologist for Andy to have surgery in the morning to remove the spleen. There is a chance that Andy will not make it through the surgery but there is a good chance he will. Once the spleen is removed biopsies can be done and a course of treatment determined. Best case scenario is that Andy could live comfortably for another year; worse case is he only has hours left. We love you, puppy! Be brave! We are praying for you!